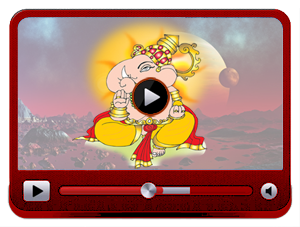 Here’s a great add on to your favourite AstroSage.com Videos via Youtube, by an exceptional astrologer of today’s time – Astrologer Punit Pandey. What makes him stand out of the clutter is the simplicity with which he explains the complex processes in Astrology, just like in this video. Here he talks about factors to consider while going ahead with ‘Horoscope Matching’. With so many different systems of Horoscope Matching, how does one know what’s the most reliable and accurate method? If, that’s a question that you’ve been wanting an answer for – astrologer Punit Pandey is ready with an answer that is supported by logical thought and detailed explanation. Go through the video to know how comprehensively he tackles your concern, helping you decide among prospective soul mates. Join him to know the relative significance of different types of Horoscopr Matching methods, with his take on which ones the best. Go ahead, to view the latest Video from AstroSage.com titled ‘Horoscope Matching’, and yes don’t forget to leave in your comment, feedback, questions. We are waiting to hear from you. Share it with your friends on Facebook or Twitter – who knows you might just be making someone life easier!! All copyrights reserved 2016 AstroSage.com. Already Subscribe us? Don't show again.